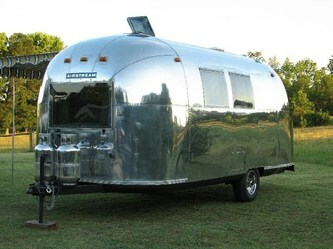 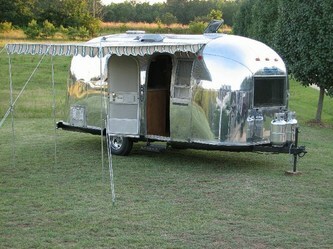 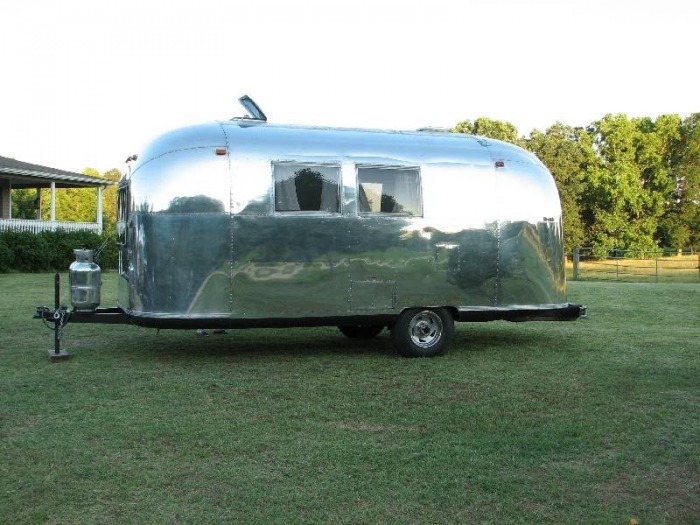 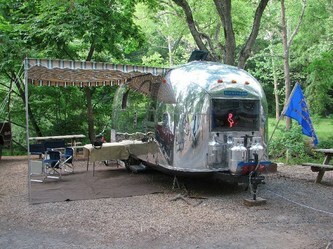 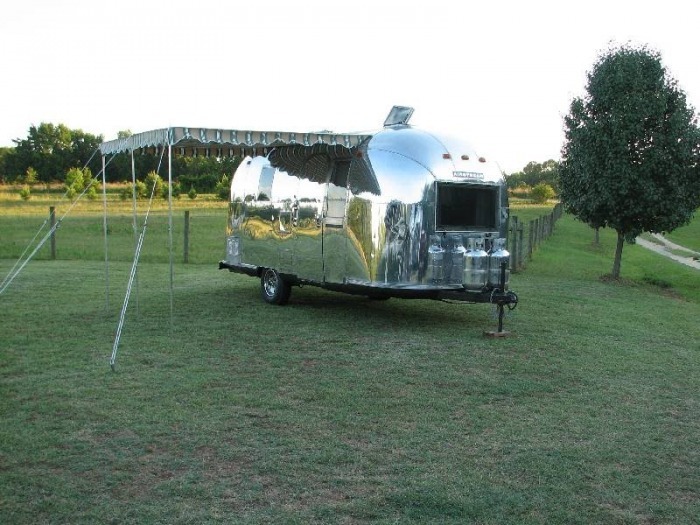 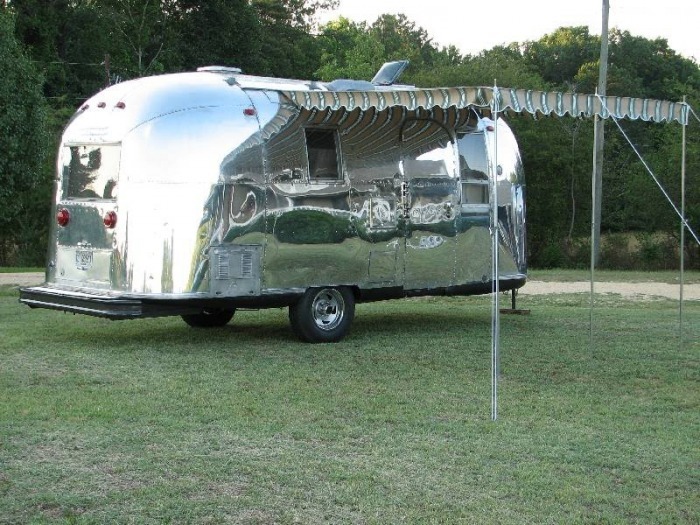 Every vintage Airstream is unique, and this one is no exception. 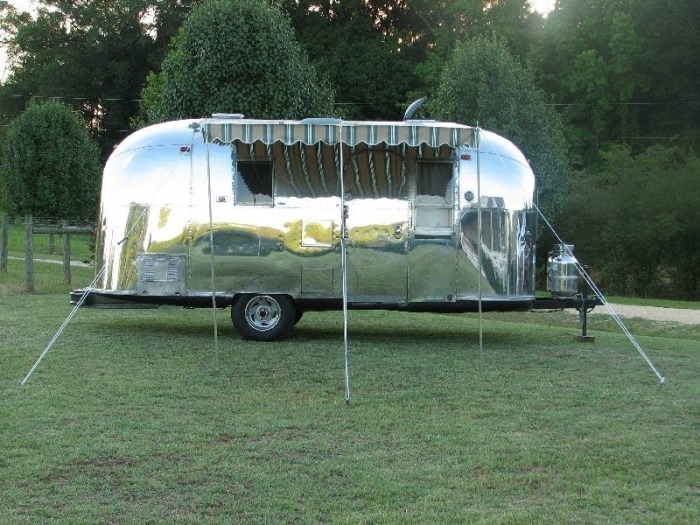 Wherever this trailer travels, it will command attention. This Globe Trotter, with windows that curve with the body of the trailer is one of the most eye appealing designs Airstream developed. This feature is only found on the year models 66,67,68. 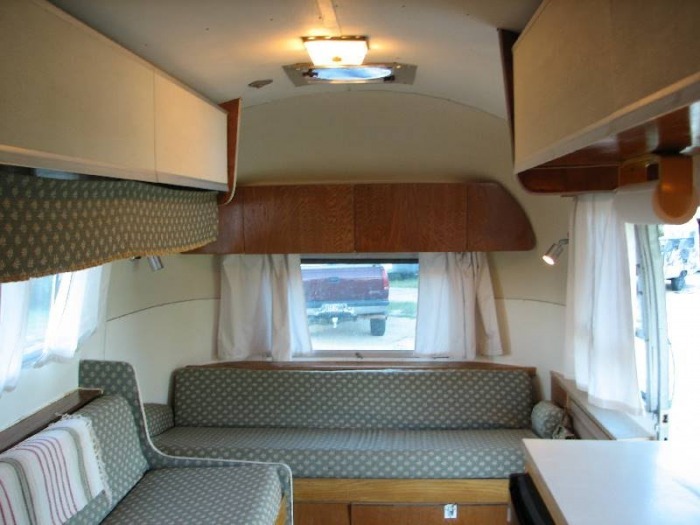 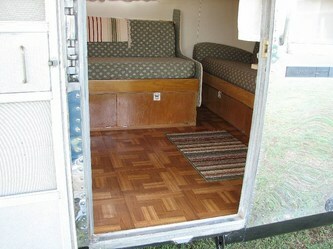 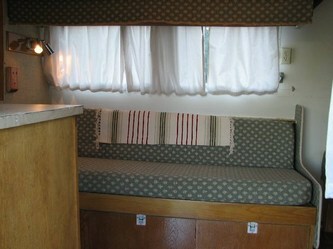 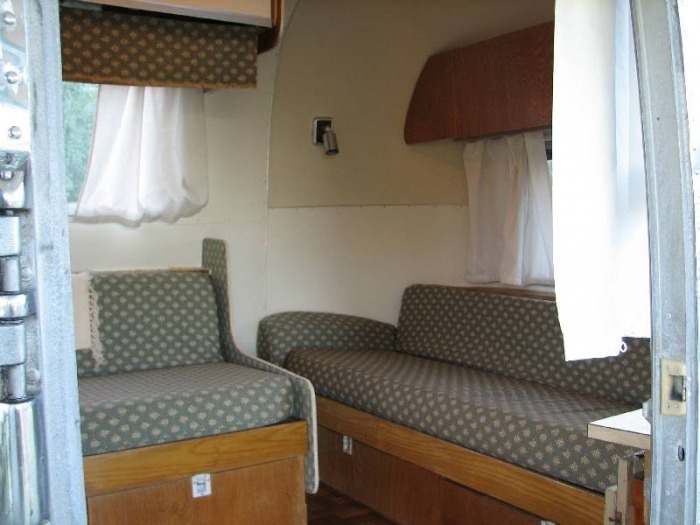 Very nice, reconditioned camper. 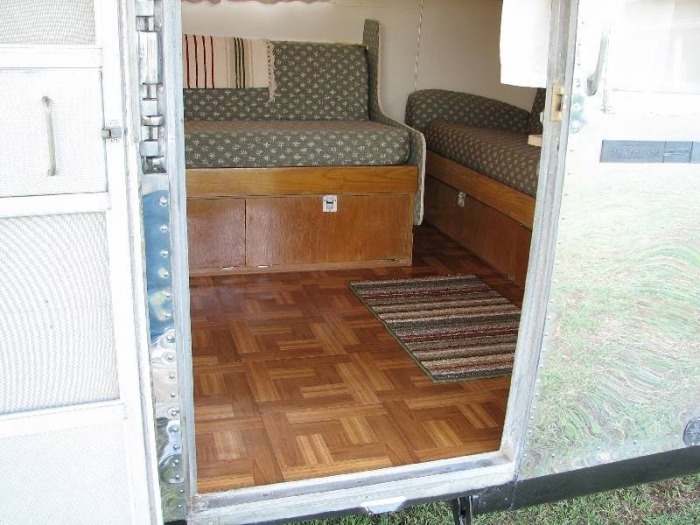 New tires, wheels, loaded backing plates(brakes), new hubs(bearings), new aluminum tanks, new awning, new Fantastic Fan, new floor, new toilet, new upholstery-- and polished! There is an original bunk bed, so this trailer could sleep 4 adults and 1 child. 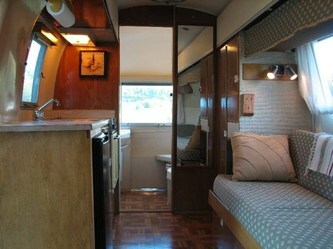 The water heater and stove are run by LP gas, while the heater is electric along with the fridge. 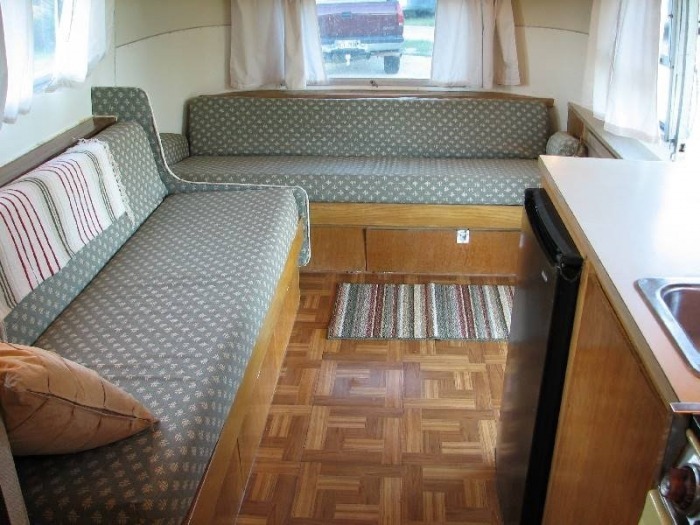 This unit has a 12V system with a new battery.